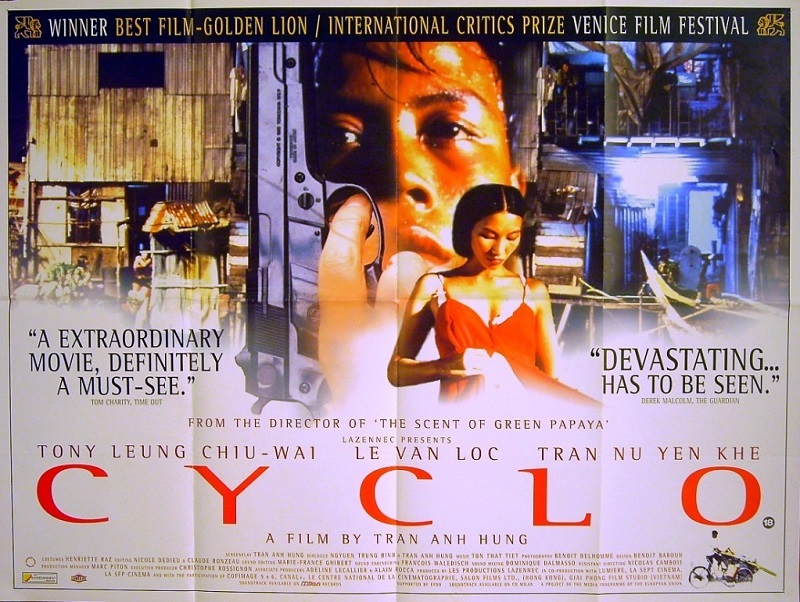 Nguyen Nhu Quynh, star of Cyclo and The Vertical Ray of the Sun, discusses traditional Vietnamese culture, her journey to international recognition and playing a psychopathic mafia boss. 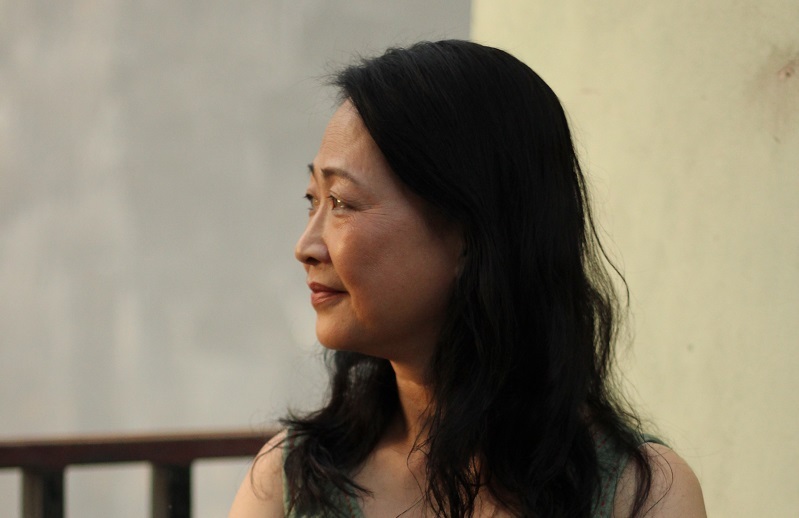 When Nguyen Nhu Quynh appeared in the film Indochine, it marked a dramatic change in her career: the former student of cai luong had made the big time. It was also a representation of Vietnam’s beauty on a scale never seen before; it went on to win the Oscar for best foreign language film, and drew thousands of tourists to Vietnam. Since then she’s gone on to star in a number of acclaimed French films, including Cyclo and The Vertical Ray of the Sun. Over the last 15 years she has continued to be a mainstay of Vietnamese cinema, becoming one of the most distinguished figures in the industry. Nhu Quynh invited Oi to her home in Hanoi’s Old Quarter. We sit on stained bamboo chairs as she pours us some tea, her long, pastel-green dress matching the cups we drink from. The living room is a curious assembly of bits and pieces—turtle shells, obscure musical instruments, puppets, and beautiful black and white portraits of her family. Nhu Quynh is animated as we talk, by turns reflective or chuckling knowingly, but always calm and composed. Many will be familiar with the French films Nhu Quynh has appeared in, but perhaps not so with the earlier stages of her career. It’s for this reason that we sat down with her to find out more about her backstory, her successes and her thoughts on where the Vietnamese film industry is heading. So, was acting something you were expected to do by your family, or was it your choice? Well, in Vietnamese families, the parents always want one of their children to follow in their footsteps— to continue the family tradition. When I finished high school I was only 14 or 15, so I was still very young and I wasn’t really sure what to do with my life. I decided to do as my parents wished and enrolled at the Vietnam Theatre School. And, in the end, I loved it… I felt that I had found my calling. It soon became clear that I carried the acting gene and that it was me, not my sisters, who should continue the acting tradition in my family. For my graduation assignment I played the part of Thuy Kieu, a prestigious role in Vietnamese drama. My mother also played this part in 1962. Describe your earliest days in acting and experiences at the Vietnam Theatre School? I’ve been asked this question many times. My parents, and even my grandparents before them, were stage actors. I was one of three children and when I finished high school my parents wanted at least one of their daughters to carry on the acting tradition in the family. Back then, my parents were involved in cai luong, which is a type of traditional Vietnamese drama. They wanted me to study at the Vietnam Theatre School so I could sing Vietnamese opera like they did. I started studying at the institution in 1968, and when I finished studying, I joined the Golden Bell Show, which was the beginning of my career in cai luong. Then, in 1973, a director found a photo of me and invited me to act in Bai Ca Ra Tran, my first ever film. What experiences in your early life do you think shaped you as an actress and helped you to develop your craft? While studying I had the chance to play a diverse mix of roles. They were generally girls or women from rural areas or from fishing villages, but they were different from what I was used to. I had to read a lot and watch films to help imagine what these people’s lives would be like and bring their realities, their pain and their dreams, into my performance. I developed a firm foundation in acting from studying at the Vietnam Theatre School, which allowed me to embrace many different roles the teachers offered me. But I was born a very gentle Hanoi girl. Girls in my family were expected to be gentle, and so to play one of the characters in the fishing village I had to learn to be unruly and rough to really capture their character. Can you explain how you came to win such prominent roles in Indochine (1992), Cyclo (1995) and The Vertical Ray of the Sun (2000)? So I appeared in a film in 1985, which was very successful. It featured in a number of film festivals in Europe. We didn’t win any prizes, but that was how foreign directors first started to recognize me. And then, in 1989, I acted in a movie created by a German company, about the French colonies and the southern Vietnamese armies, so that’s how I got my first role in a foreign-produced film. It was after that performance that I was offered the role in Indochine, which won the Oscar for best foreign language film. It was a huge success, and many people who saw it actually came to Vietnam to follow the journey they took in the film, from the south all the way up to Ha Long Bay. After that, I was on the list of actors to be contacted for these kinds of roles, and so I was invited to appear in many films. And how did your life change when you achieved this international recognition? Which elements of Vietnam and Vietnamese culture do you feel that your work represents on the screen? I think that for the majority of my acting career directors have cast me as a mother who will make any kind of sacrifice for her family. Den Hen Lai Len, for example, is a story about a girl who marries a wealthy man she doesn’t even love, just so she can afford to care for her sick mother. My whole life has been acting in these kinds of roles. But this changed with Cyclo. In this film I played a violent mafia boss—it was a dramatic role change for me. I was playing a strong, aggressive woman who killed people. But even then, deep inside this psychopathic woman, was a person who cared deeply for a son who had mental health problems. And when her husband found out there were mental health problems in the family he left them, but she did everything she could to protect her son. For a long time, people have spoken about Vietnamese women or Asian women as being deeply caring, that they will do anything for their family. But now directors are writing about how women use their inner strength to fight for what they believe in, and to fight against men. There are more films like this now than ever before, which is fascinating. What are your favorite roles, and why are they significant to you? Well, if you ask me what is my favorite role of all time then, of course, there are many! But, after a certain point in my life, I realized how much I had to learn for each role, and I put so much into every performance that they were all significant to me. In Den Hen Lai Len, for example, I was only 20 years old. The character, Net, does everything for her mother, she even marries the wrong man. This was all so new to me, I was so young. It’s definitely one of my most important roles. And then there’s Cyclo. This was an extremely significant part for me. It was a totally new kind of role that gave me the chance to explore different aspects of life. I chose to accept the role because I wanted to make everyone understand that Vietnamese women can be as strong and fearful as any man. After this role I was offered a number of other parts, playing coldhearted, mean people. And that was very exciting. In one I played a married woman who had an affair with a younger man, which was intensely controversial at the time. Men could have mistresses, but not women. What do you think of the film industry in Vietnam now, and what effect did the highprofile productions you appeared in have on the industry? Fifteen years ago, the film industry here was very poor. The country was too—all the roles reflected how people lived here on a daily basis. But since then, there’s been a lot of change in terms of technology. There have also been more and more Viet Kieus getting involved. They’ve brought new ways of thinking into the industry— which is good news for everyone—it’s brought the industry standards closer to the rest of the world. But we are still Vietnamese people. We still have the same core values. This is the string that ties everything together. In Indochine, for example, Mrs. Sao has to flee south with her family. At one point they stand on the top of a mountain and look down towards the land. She really feels that this is the place where her family will be safe. I remember the director, Regis Wargnier, asking what I thought about women in that kind of situation. And I told him that, for Vietnamese women, there is nothing more important than sharing happiness with your family. Our whole life is dedicated to protecting our family—they must come first. And after that conversation, he let me act that scene in the way I felt was natural. I think it’s moments like that one that have had an impact on the industry.